Use this module to create an explosion. 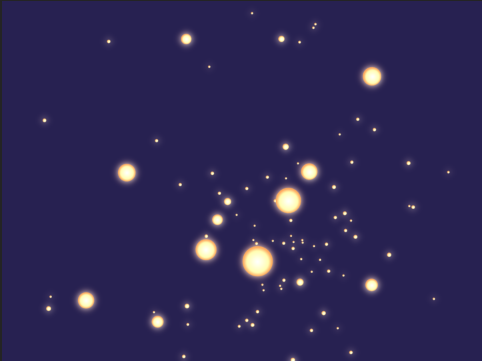 As it is an Action module, it should be connected to the Particle System Composite after the Sprite Emitter. As the explosion occurs, the particles will burst rapidly away from the centre of the explosion (the centre of the defined Region), then gradually slow down. 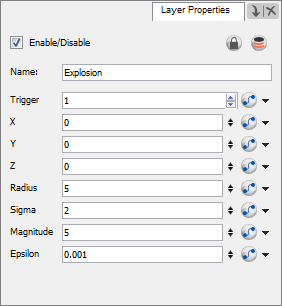 Use the Explosion's Layer Properties panel to adjust the effect's parameters. • Coordinates: User the X, Y and Z fields to enter different position values, in order to move the particle system around in 3D space. 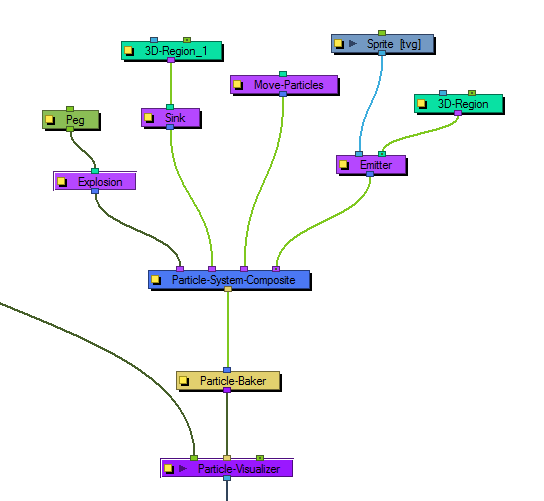 You can also connect a Peg module to the Explosion to manipulate its position with the Transform tool or Move tool. • Radius: The radius defines the surface of an invisible sphere. As the explosion occurs, the exploded particles inside the boundaries of this sphere will be effected by the force of the explosion, while the particles that eventually pass through will remain unaffected. • Sigma: The higher the Sigma value, the longer it takes for the particles to completely disappear, even if the initial explosion seems to occur just as rapidly. • Magnitude: This value defines the magnitude of the explosion. The greater the magnitude, the faster the particles break-up. • Epsilon: This value works in opposition to the Sigma value. The higher the value, the slower the initial explosion seems to occur. If the value is high (an integer value) then larger particles remain suspended for longer from the initial explosion and take a while to gradually break down. A smaller (decimal) value breaks the particles down to smaller forms more rapidly from the time of the initial explosion.